The Deben Estuary in East Suffolk, holds fond appeal for me, as many hours of my youth were spent afloat on her brisk and effervescent, tidal waters steaming to and from the local fishing marks. Crewing for Doug Goodall aboard Swallow II, whether long-lining for Cod during the winter months or potting for Crab and Lobster on the summer seas, was an utter joy and I count myself extremely lucky to have known such times. One fish though, eluded me. 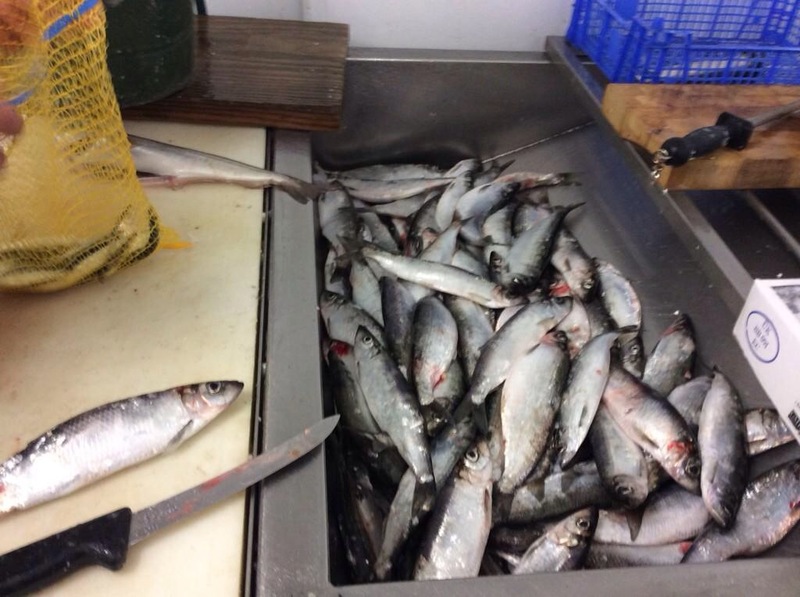 Although I saw and gutted masses of them for bait and devoured them at home in great numbers (grilled, kippered and bloatered), The Herring (Clupea harengus) was sadly never on my list of species caught. I was fascinated and mesmerised though, by the sheer scale of the commercial fleet but equally entranced with the smaller scale operation of day boats using the time-honoured drift nets, that put to sea up and down our local coastline from Felixstowe to Lowestoft. A famous fish, a staple fish, an historic fish, that over the centuries has played a pivotal role in the structure and management of our fisheries. 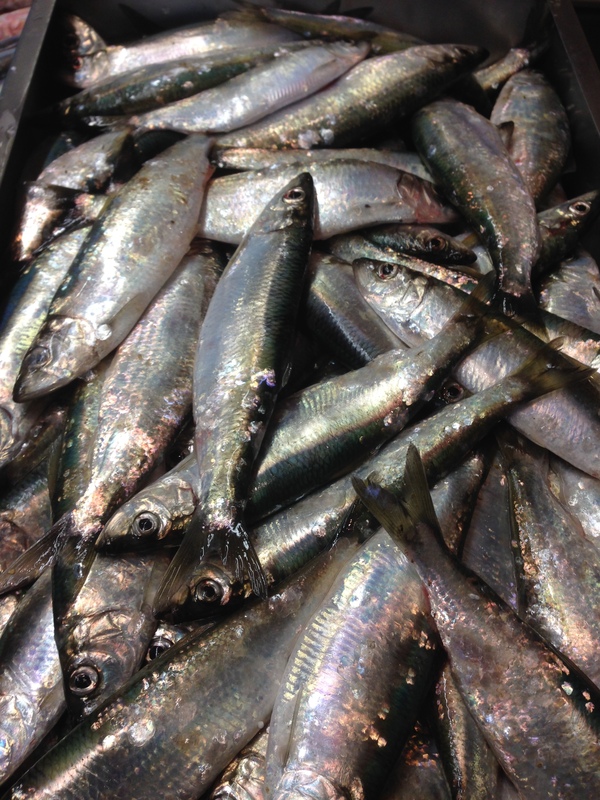 Rich in Omega -3 fatty acids, Herring have been eaten as part of human diets since 3000 BC. In the UK this relatively small and hugely gregarious fish has played an enormous part in our lives over the centuries, sustaining industry and livelihoods all round our islands. The Simper family from Ramsholt, nr Woodbridge, know all about Herring. 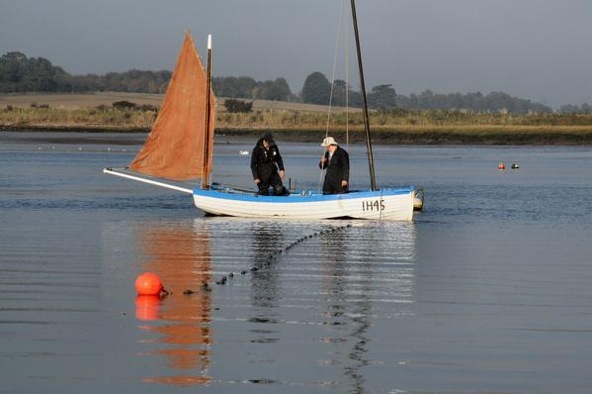 Jonathan Simper has been netting the river Deben since 1981. Although a Farmer as well, he has a deep and ingrained knowledge of the sea, fishing and the methods employed to catch the sheer abundance of food therein. Pride and passion are dished out in equal measure with the Simpers and I arrange to visit them, originally to investigate their Mussel and Oyster production, but having learned that their son Harry has been netting Herring in the River, my story has suddenly changed and I arrange to meet them at Lodge Farm. The approach to the Simpers’ farm takes you down a long and sandy track past Ramsholt Church and offers you tantalising glimpses of the Deben though the trees, before finally, the majestic and shimmering sweep of the river herself, is revealed, as she wanders sparkling down past Ramsholt to the tiny fishing hamlet of Felixstowe Ferry, home of my boyhood exploits. I’m a little early, but welcomed in by Jonathan and Claire, who proceed to tell me of their business whilst pausing in between facts, stories and anecdotes, to answer the constantly chirping phone and take orders. The business has grown from a relatively small, mussel and oyster farming venture originally, into a thriving fish and shellfish company whose distinctive vans distribute their quality seafood across East Anglia and beyond supplying both the Trade and private customers. But I’m here to talk about the Herring and suddenly Jonathan’s face breaks into a wide smile as he announces with huge pride that Harry is, at the very moment, hauling a quarter of a mile of Drift Net aboard ” Our Boys” (their converted, clinker Aldeburgh beach boat) three miles off Bawdsey on the Cutler Bank. Without further ado, he radios Harry on the VHF to get the latest info on the catch. A babble of excitement is crackled back into the office and Jonathan’s smile broadens further as he learns that his son is dealing with what is possibly his biggest haul to date. I hear 40-50- kilos mentioned and now I’m getting excited. Harry confirms that the fish are caught mostly in the bottom part of the net which means it may have to be adjusted to fish a little deeper. There is also talk of bigger specimens in the haul which are good for kippering and will be sent off to Chris Wightman for smoking. Jonathan explains that the Herring caught in the river are generally smaller fish and although incredibly flavoursome, (to which i can attest), the larger fish are caught offshore, have more meat on them and are far better, once split and gutted for Kippering, than the little river “Darts” as Chris calls them. It does, indeed sound like a fantastic haul of fish and at this point I’m reminded, misty-eyed and incredibly nostalgically, of the wonderful children’s’ story “Old Winkle and the Seagulls” where an old and much-scorned local beach fisherman is led to a vast shoal of herring by his beloved gulls, following a dearth of fish, when the Lowestoft fleet of drifters “laid idle in the harbour”. A book from my childhood that probably had more influence on my passion for fish and coastal life than I like to admit ! Reverie over, it’s back to the job in hand. Although I’d dearly love to stay and see Harry come ashore and land his catch, he’s got at least a couple of hours left fishing and then steaming home. Jonathan then gives me a whistle-stop guided tour of the operation, whilst enthusiastically explaining about the demise of the Norfolk Mussel fisheries through dredging. He shows me the purification tanks where the Mussels and Oysters are cleansed ready for scrubbing, grading and distribution to the myriad of restaurants, hotels and shops who are regular customers for the Simpers’ products. I have to agree that being a regular consumer of them, the quality of the lustrous and de-barnacled Deben Mussels is first class and worthy of appearance on any menu. I’m told about the fish trade in general and about how the business works, not just seasonal and local, but more encompassing, using sustainably-caught fish and shellfish, from day boat ports around the country to assure the correct offering to customers. All in all, a hugely exciting, worthwhile and satisfying visit. I thank the Simpers for their time and enthusiasm and leave them to the sounds of ringing phones, the hubbub of order taking and the excited anticipation of the soon-expected landing of Harry’s catch. I vow to return though, because they hunt another inhabitant of the local waters, which also holds huge appeal for me- the Brown Shrimp, caught with a Beam Trawl, how exciting is that ? ………. Sp pleased that you enjoyed your visit! we so look forward to welcoming you here again soon. It was indeed a bumper catch as Harry caught 350 kg of Herring that day! Best wishes Simpers all . Next Post Is there a Catch?